Employees, customers and managers love LAMA training and The Positive Coach Approach… and we have the highest client retention rate in the industry to prove it! Check out these great books for yourself and your team! 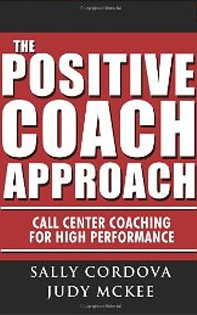 Written by Call Center Coaches for Call Center Coaches. It’s a course for anyone charged with improving call center performance and customer satisfaction.. Written by Call Center Coaches for Call Center Coaches. It’s a course for anyone charged with improving call center performance and customer satisfaction. This method is the key to coaching success! A powerful guide to sales success and financial freedom. This action book is full of practical solutions to common problems that sales people encounter daily. It’s designed to be used for everyday reference. 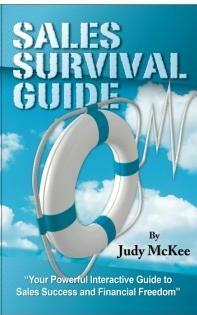 The book is written in the same lively style that has earned Judy McKee an outstanding reputation as a dynamic trainer and an entertaining keynote speaker. Start training yourself today with this complete sales training course with so much information that it takes 3 CDs to contain it all! Listen to this complete training and take action immediately on what you need to know and be Brilliant on the Basics of Selling. You will learn the best ideas available in a simple format. This LAMA course includes Selling with Style, Integrity, Intention, Attitude, Self-Discipline and Skill. Manage the conversation and keep your customers for life! Make successful thinking your life! Discover the inner voices that hold you back and overcome negativity, increase profitability and build your self-esteem.